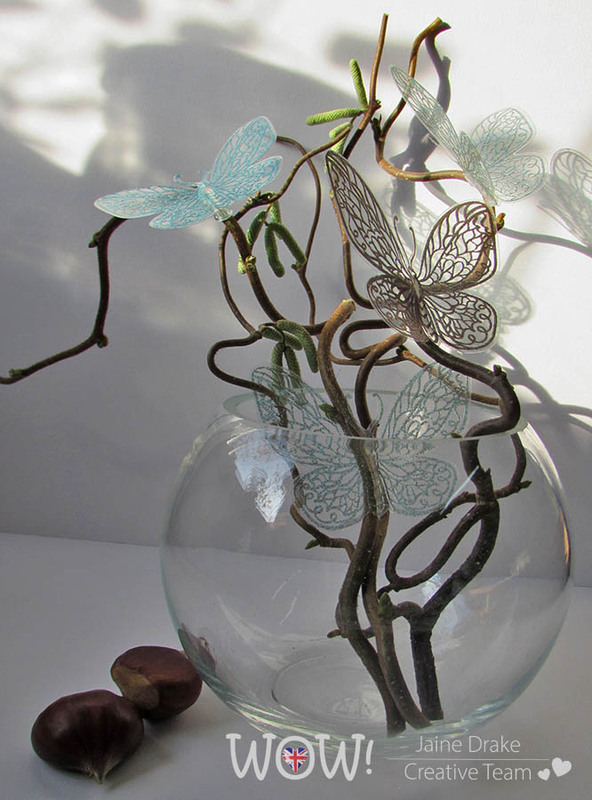 I love working with transparency, it creates so many interesting possibilities and layers. Making acrylic, transparent albums is especially interesting as I really have to think about the album as a whole when I’m putting it together. These two I made recently and love them. 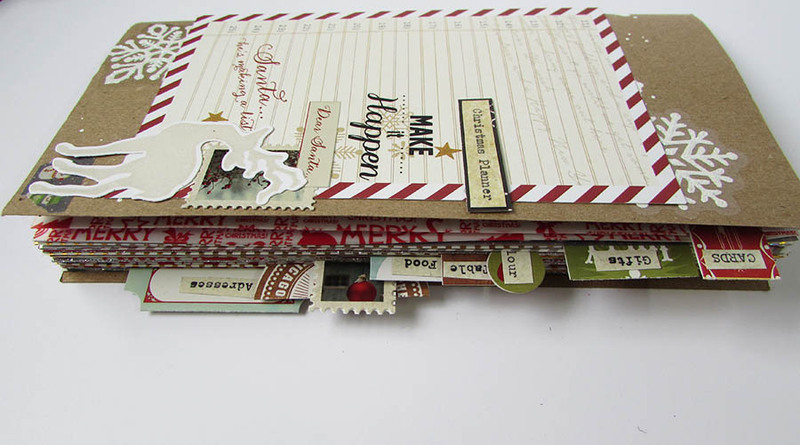 Most of the materials for this one came from my January Sweet Treat Box from Paper Pen and Plan which I didn’t have an opportunity to use since it arrived. The Unicorn theme seemed to be a perfect fit. The white album was a joy to put together but a pain to photograph. I either managed to get reflections of me or the dog! It’s hardly there at all which is what makes it so pretty I think. There’s room for a few photos but honestly I wouldn’t want to put too much into it. They’re going to be on my table at KUKI in May alongside a few other acrylic albums. I hope the public like them. Have a great weekend, I hope the sun shines on you all. 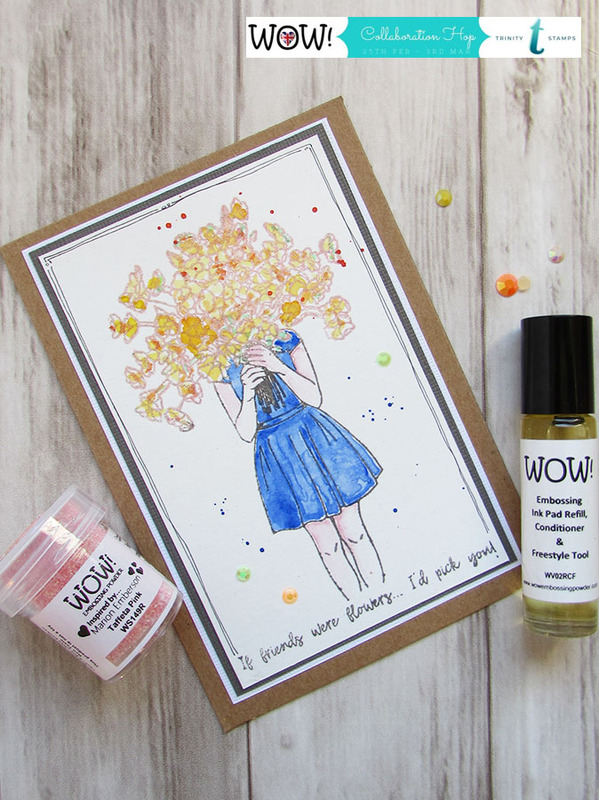 The theme this month on the WOW! 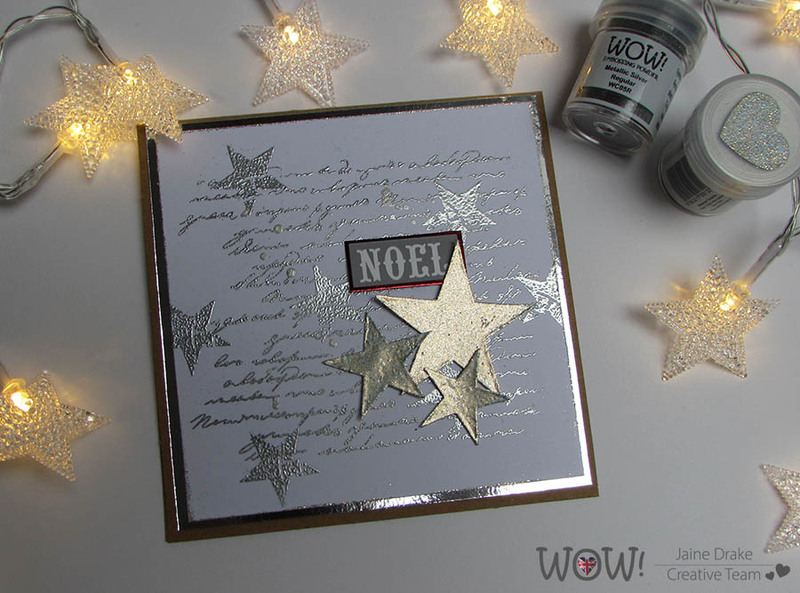 blog is all about Fab Foils and ways of using them. 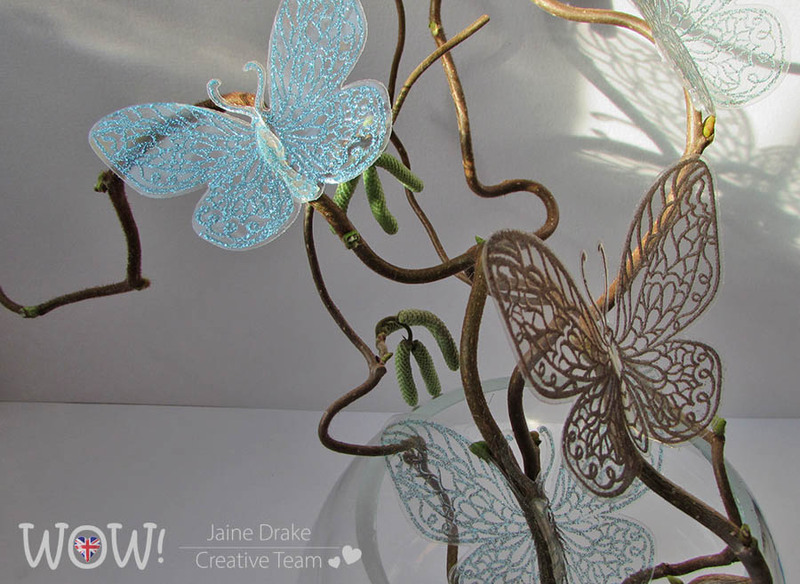 I find that the results of my foiling are not always perfect so I used that to my advantage and went with the flow so to speak, finding creative and abstract ways to use them. 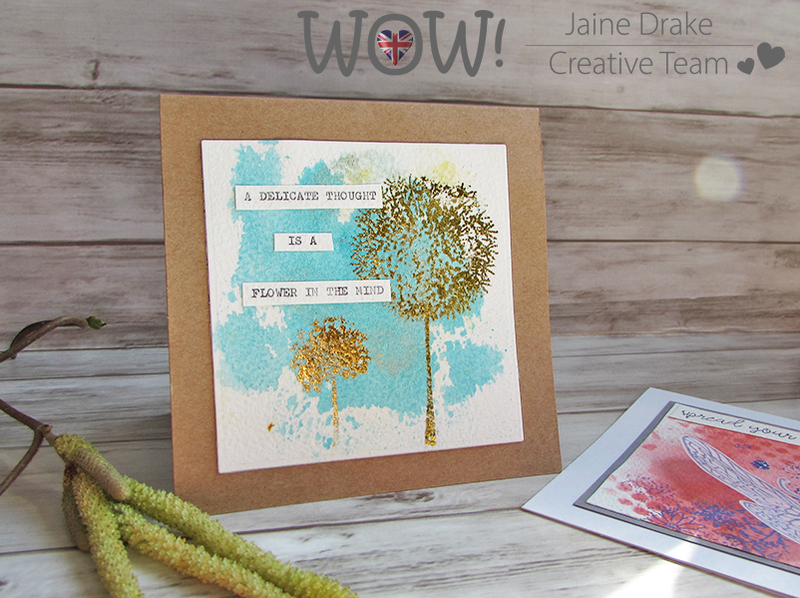 In the Dandelion card above I’ve stamped onto textured watercolour card which I knew from the beginning wouldn’t give me a nice perfect impression. 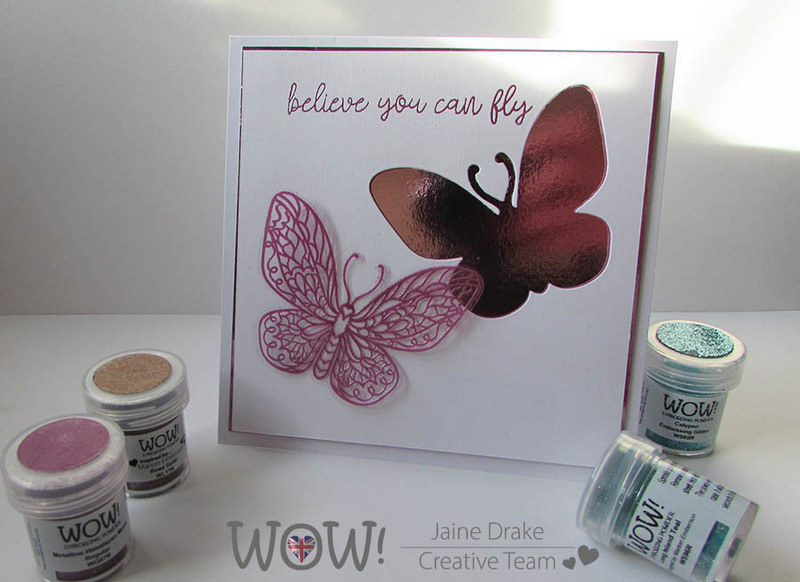 You can see that in the foiling over the top of the Bonding Powder but I think it matches the random watercolour background, creating something light and delicate. 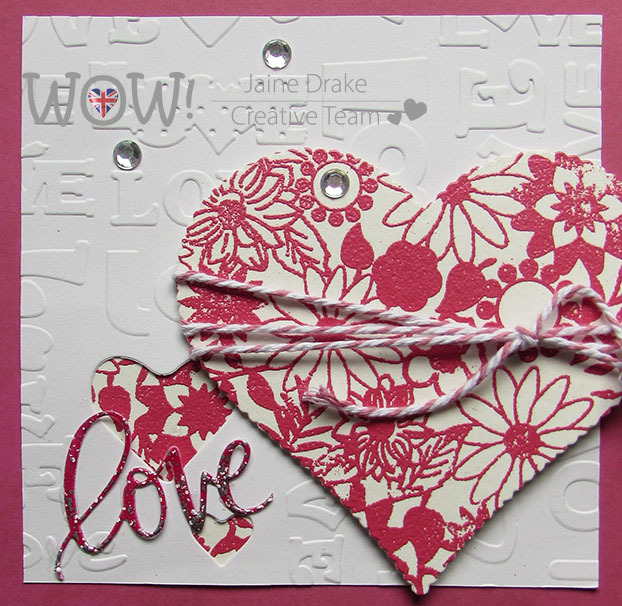 On the red and purple card, I chose to use the stamp in parts, stamping Embossing ink without using an acrylic block. This gave me the nice randomly foiled background which you can see above. 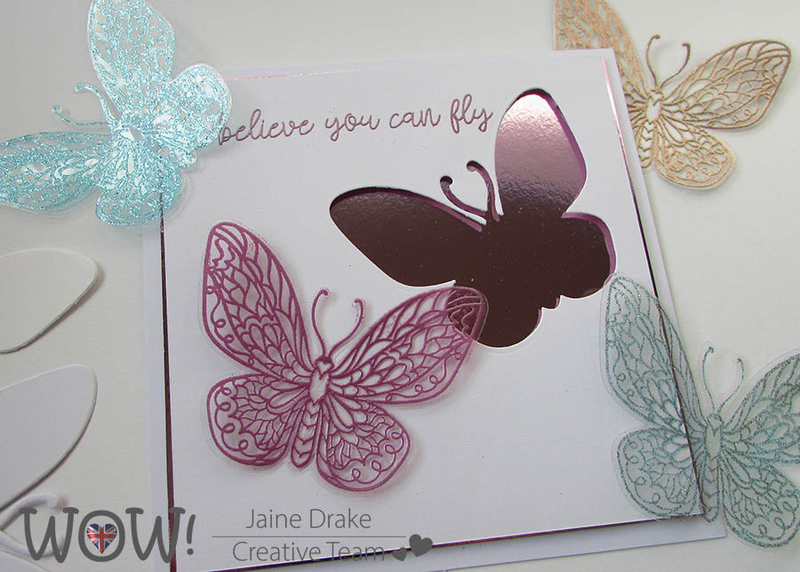 The butterfly here above was stamped with Embossing ink and Bonding powder in the traditional way before adding Silver Fab Foil. 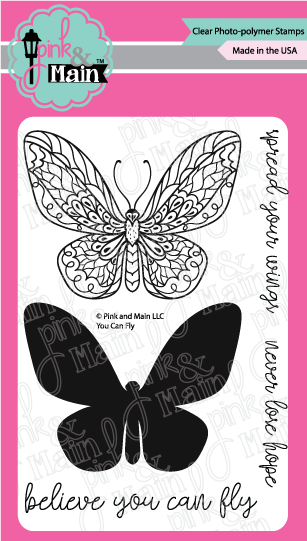 The butterfly below however was die cut from sticky double sided sheet and some of the excess pieces of foil pressed onto it randomly. This resulted in a colourful, foiled image. 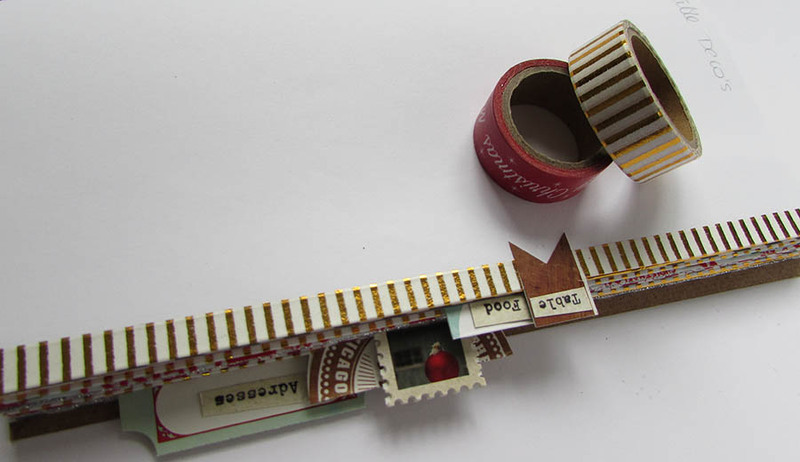 A great use of the offcuts! Happy Friday and hello spring? The end of February was glorious where we are, warm, sunny and dry. I think we got a little carried away with ourselves and started to imagine outdoor activities and ice-cream! I know, I’m guilty of pushing the woolly pullies to the back of the wardrobe. However, March came in and whoops!! Stormy, wet and cold weather was back. My wardrobe is a mess, as the woollies have been dragged over the spring garments and scarves pulled out from under thin tops. Ah well, it was a bit bonkers to be honest not to mention worrying. My morning walks with Cooper are a good opportunity to watch the season change however and gather some inspiration along the way. 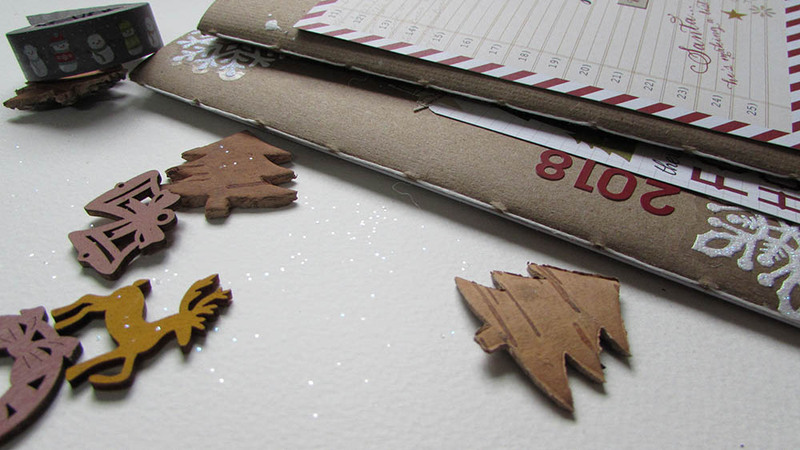 The pine branch above will find its way into my sketch book and may even be used next Christmas. 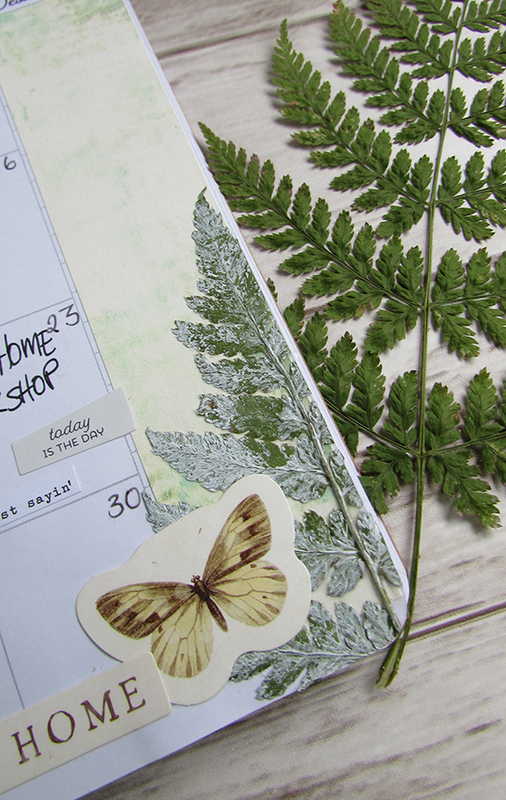 The fern will be used in a print I think and already I’ve added a small piece in my Simple Stories planner layout. 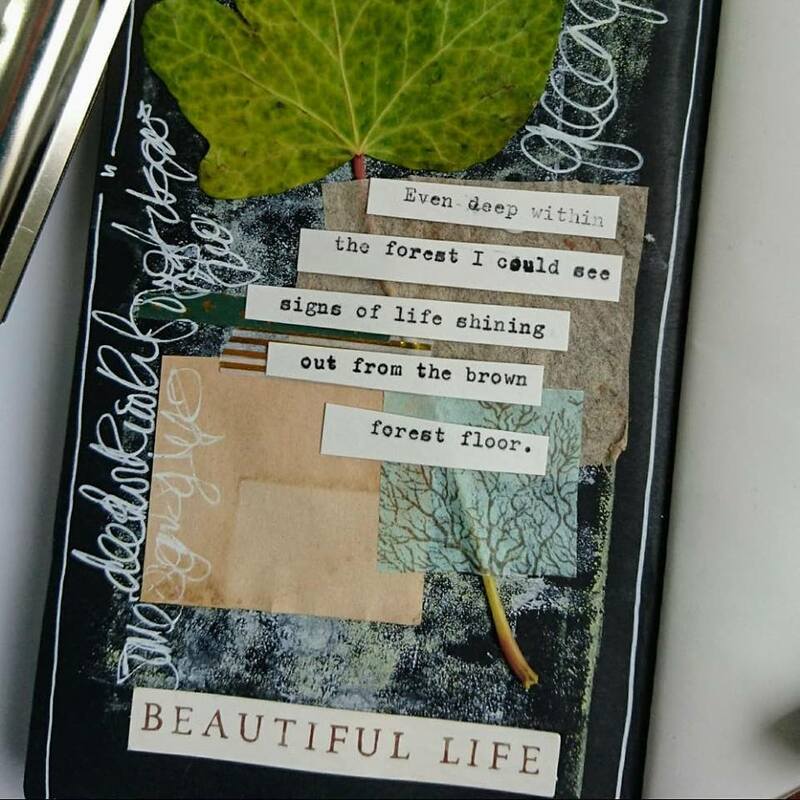 I touched it with a brayer and a little white ink to tone it down and help it blend into the page better. 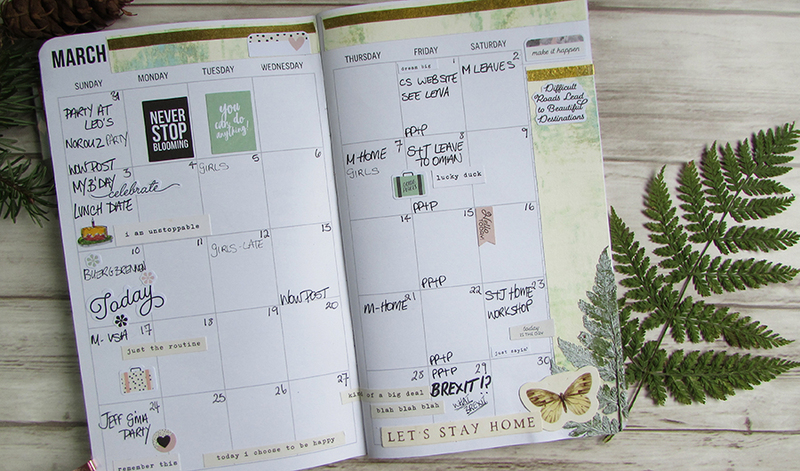 It fitted perfectly with my spring like theme for March and the Simple Stories Spring Farmhouse collection ephemera from Paper Pen and Plan. I also used a little on my WOW! 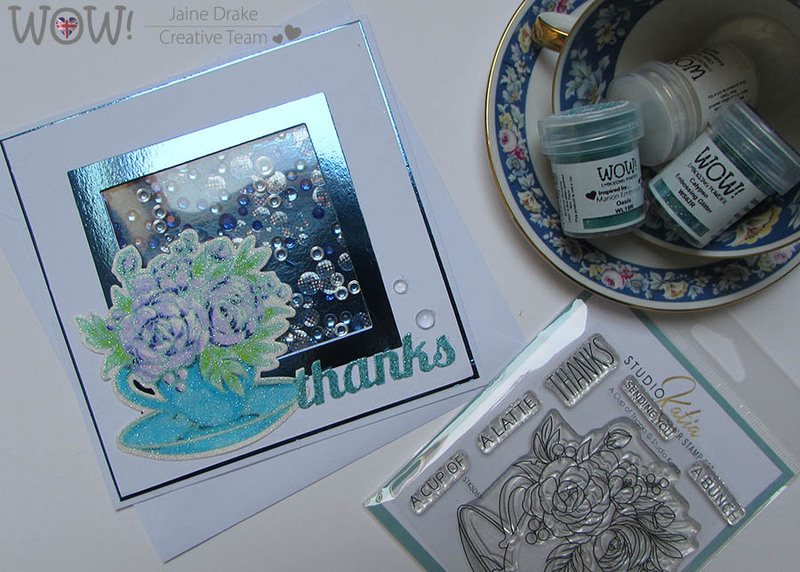 Embossing Powder Facebook challenge piece. 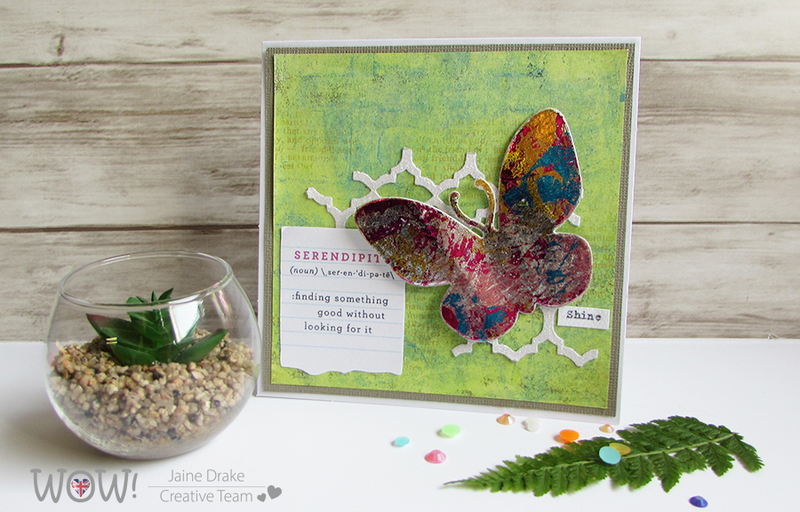 This month the challenge is all about foils and I was desparate to use mine in an abstract way. I love abstract backgrounds and using them this way over a smooshed ink layer was so much fun. 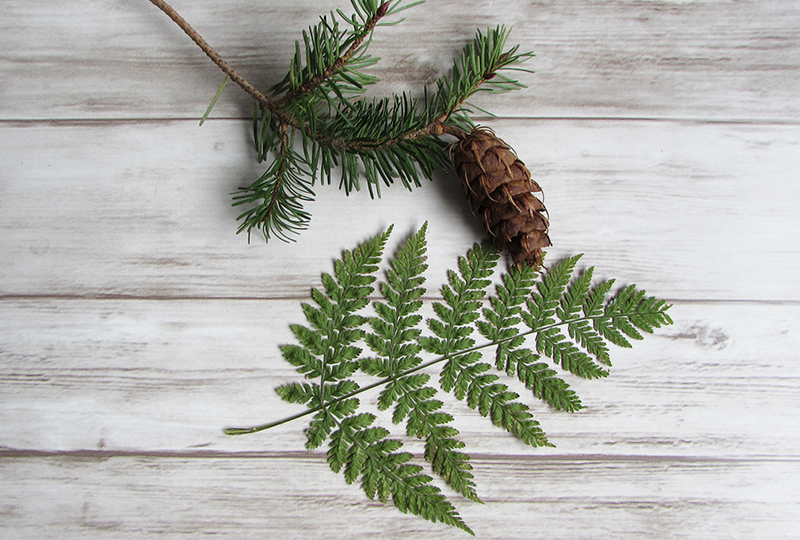 I’m declaring March Nature Inspiration month just because I can! 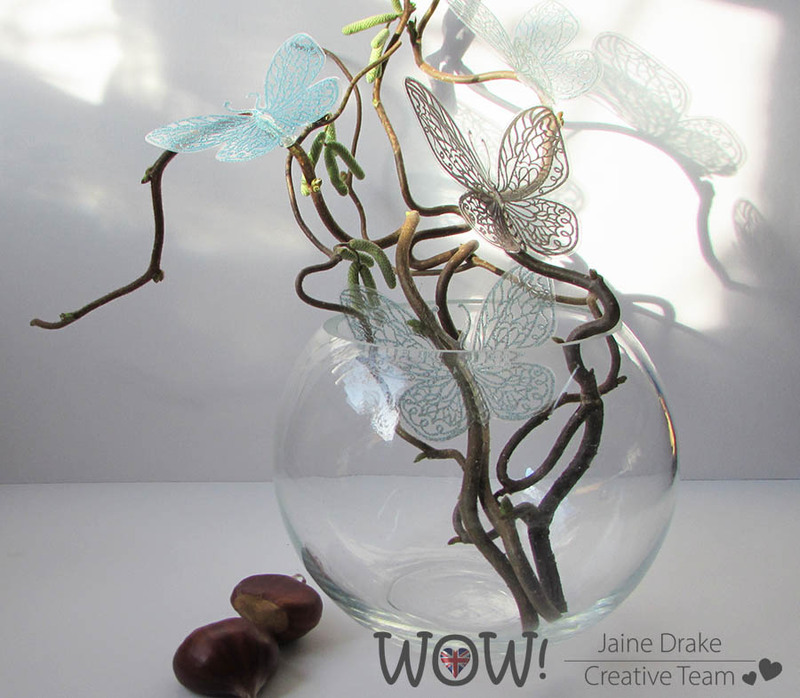 Why not try including a little nature in your work? Welcome to the WOW! 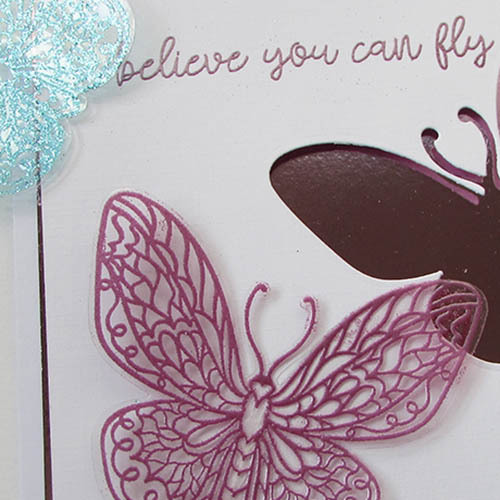 Embossing Powder and Trinity blog hop.We’ve a super talented line up of designers for you to follow along with, all sharing some fabulous inspiration as well as the opportunity to win some amazing prizes! The hop will last until the 3rd March so you’ll have plenty of time to have a look around. 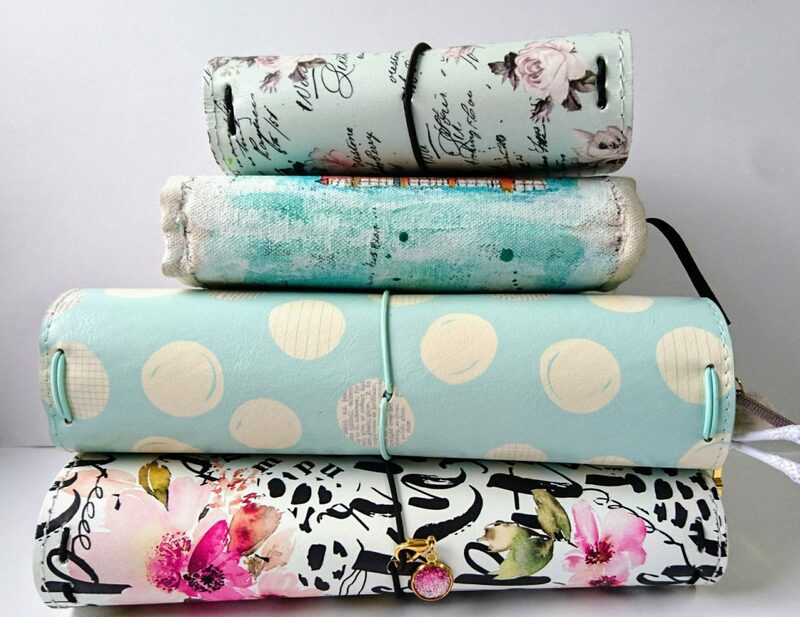 Don’t forget to leave a comment on all of the blogs if you want the opportunity to win the prizes, which are listed below. 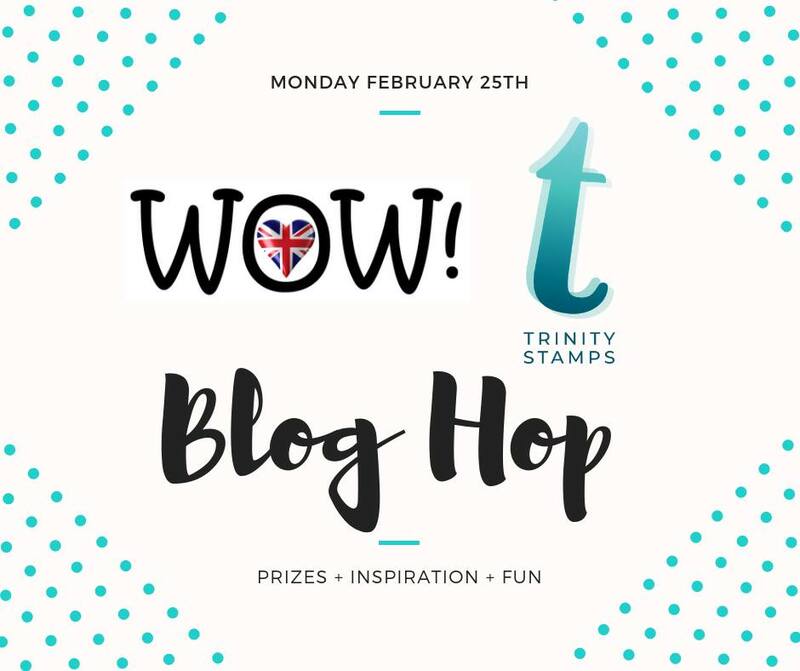 The Blog Hop prize announcement will be made on Wednesday, 6th March 2019, and winners will be announced on both Trinity Stamps & WOW! 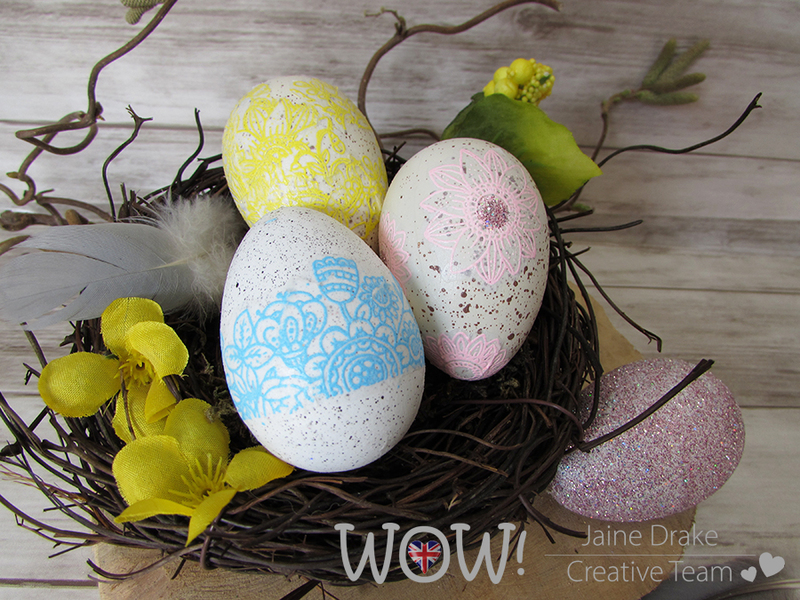 Embossing blog. 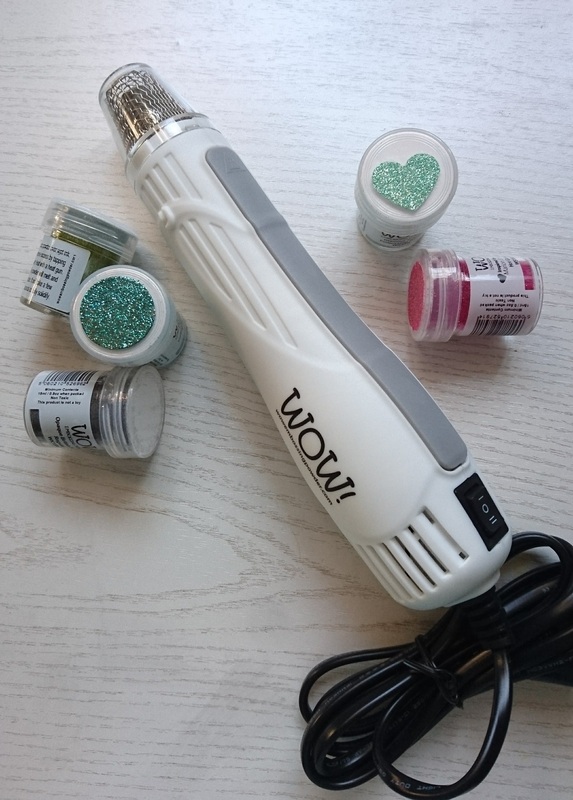 The prizes include: 6 x powders (of the winners choosing) + a carry case from WOW! 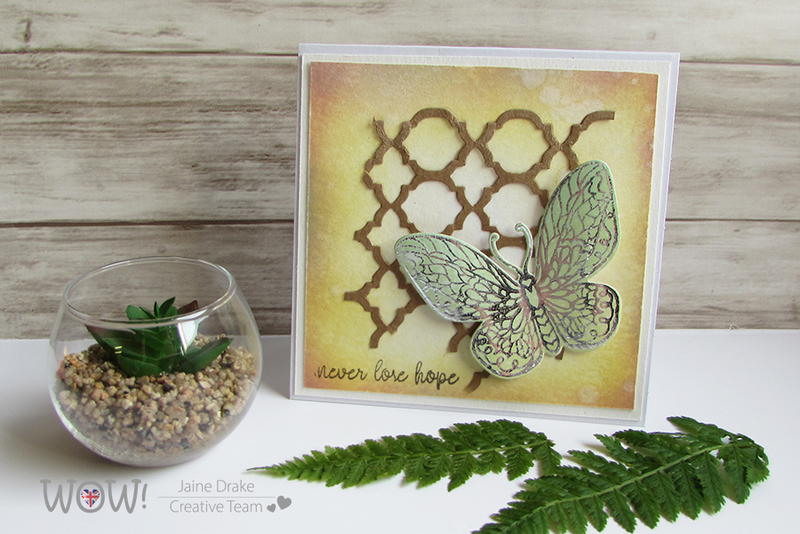 Embossing Powder, and Trinity Stamps have an amazing pack of goodies with Stamps, Die and Embellishments. So what did I make…? 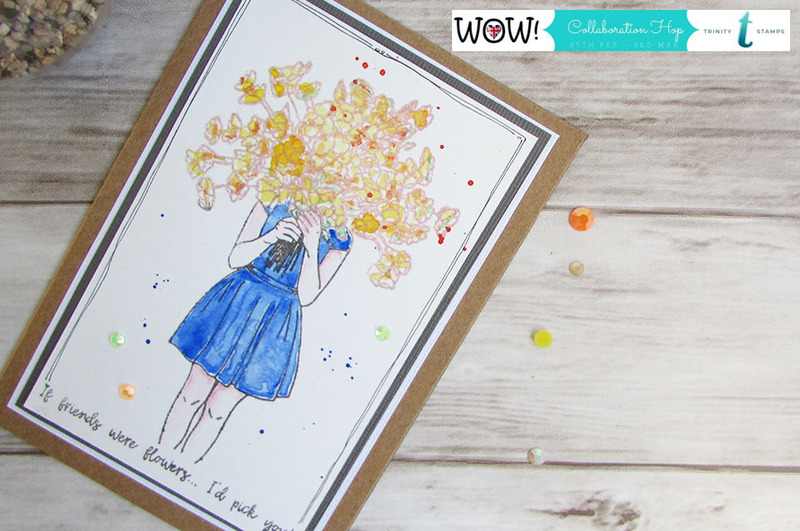 I was lucky enough to be sent this super cute stamp set called Bouquet Of Hope which is so full of detail and great for some colouring. 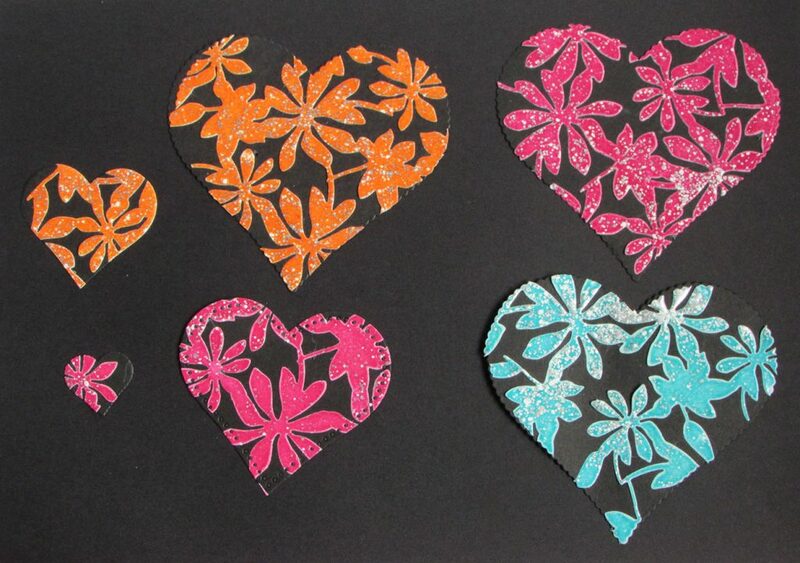 I combined it with the new Embossing ink refill tool and Taffeta Pink Embossing powder. 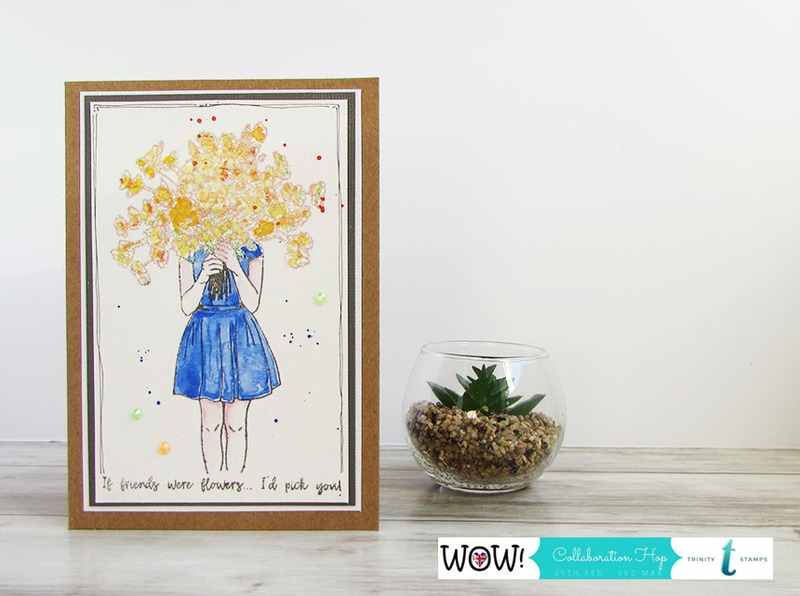 While the stamp was on the block, I inked up the bottom half with a VersaFine ink then spot inked using the new Inking tool, the flowers at the top, and stamped my image onto watercolour paper. 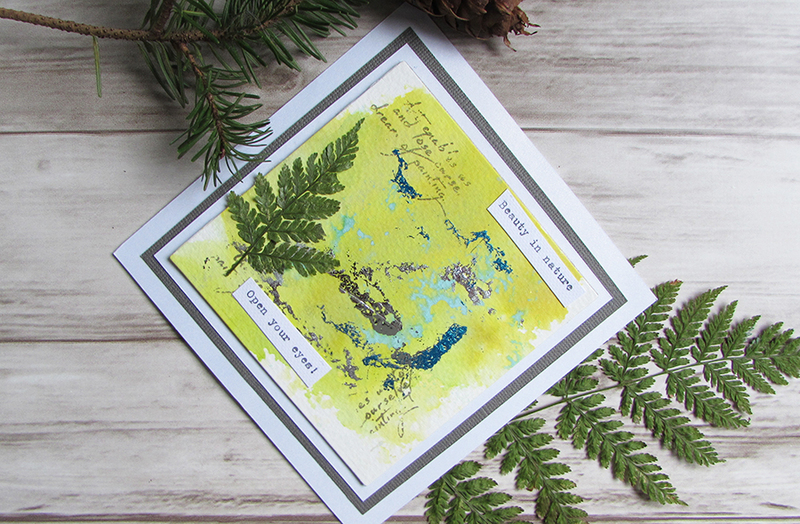 I could then emboss the top part of the image with the Taffeta powder and used my favourite watercolours to add a wash of colour, keeping it loose and fresh. I’m loving this tool and I can see it’s going to totally change the way I ink and stamp in the future. You will be able to get your hands on it from March onwards. 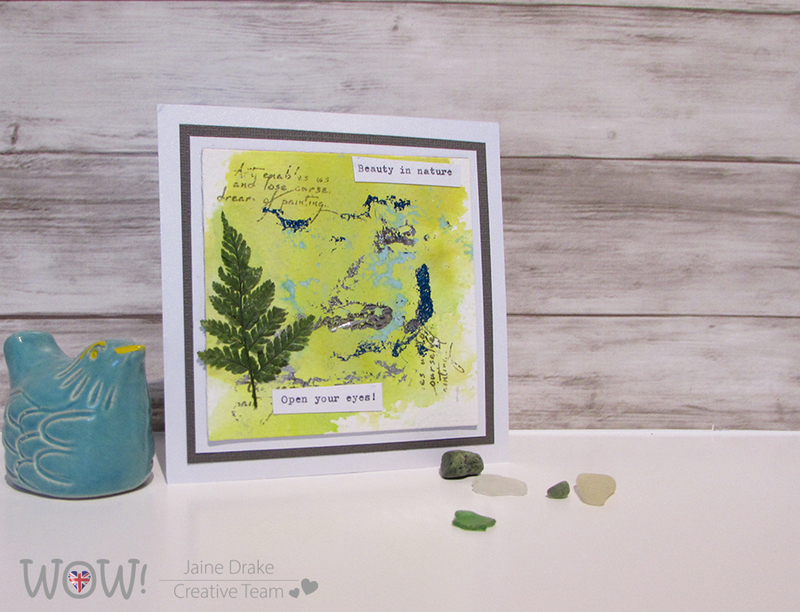 Jaine – YOU ARE HERE! Thank you for stopping by, your next stop is Verity. Or…thoughts for the new year. Don’t you just love the new year, all shiny and clean? What ever happened in 2018 can jolly well stay there along with the remains of the turkey and crispy pine needles! There’s something about the freshness and promise of January 1st that gets me so excited. I’ll be starting a new planner and a new planner style along with a new sketch book as I’ve actually filled up my old one at last. 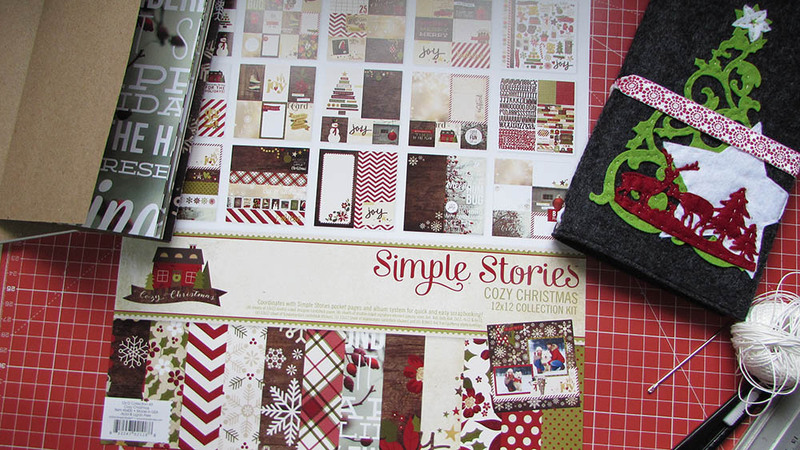 Going into 2019 I look forward to lots more exciting things to come with Craft Stamper magazine and getting to know alot more of how things work behind the scenes. 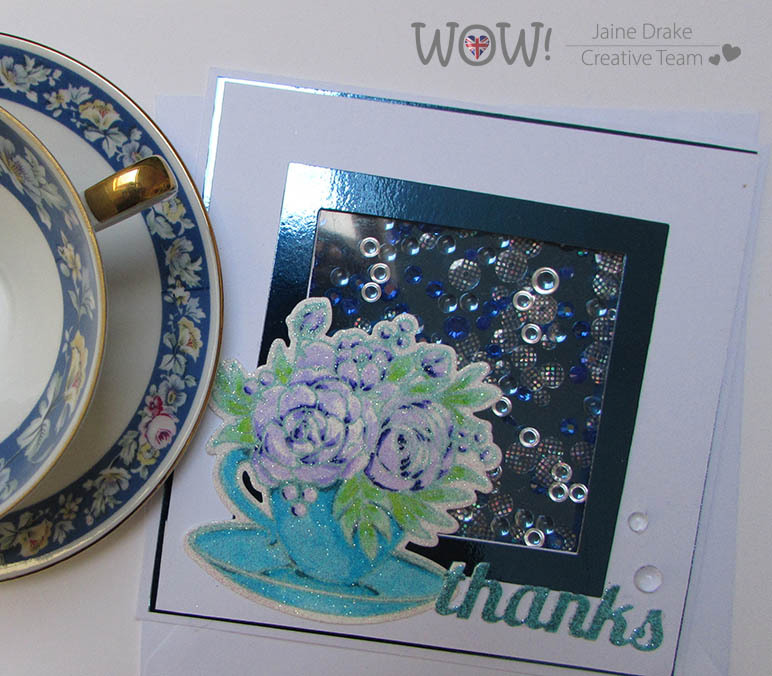 I’ll be continuing to work with WOW! 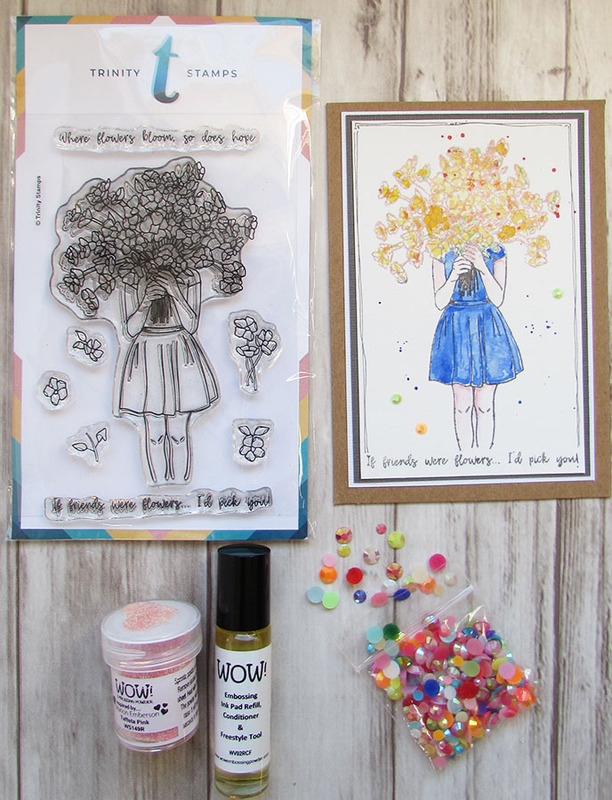 Embossing Powders and some exciting new products they have coming up, taking a bit of a step back with Canvas Corp Brands by joining their Alumni program and carrying on my work with Paper Pen and Plan as a Creative team member. 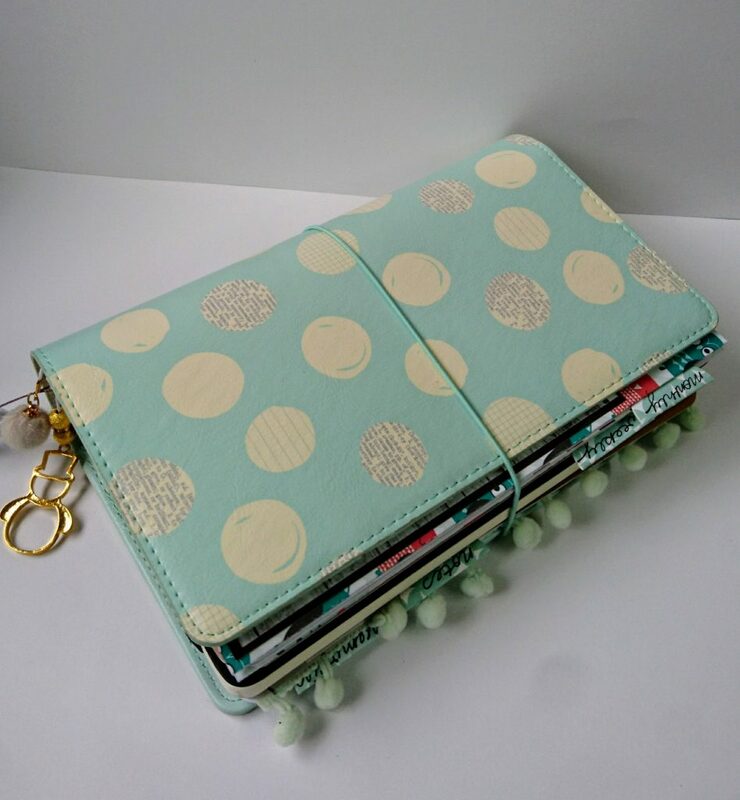 I have some big craft market plans too as this was something I really enjoyed in 2018 and one or two new ideas for the Basement Studio shop too. So, I’d better stop talking and start doing before the novelty of fresh starts and all things new wears off! A very happy new year to everyone and may 2019 turn out to be the best yet. “Stop the year I wanna get off! !”…… just kidding! Seriously though, does it feel like being on a very long slide with Christmas at the bottom and you just keep on getting faster? Maybe it’s just me or maybe it’s because of the insanely gorgeous Autumn weather we’ve been having that it became difficult to visualize Christmas. Or maybe it’s the crazy routine in publishing when you’re planning December in July and by November it’s already Spring! Anyway, this was a discussion of sorts way back in July with my fellow teammates from Paper Pen and Plan. We were wondering why we never get to finish up our December Journals/planners even though at the beginning we always seem to be so focused. We came to the conclusion that if we planned things earlier and in a more organized way it should make the rest fall into place. So we’ve each taken a topic and week to showcase what we’re using and how we’re using it. I was up last week and I was talking about Inserts. 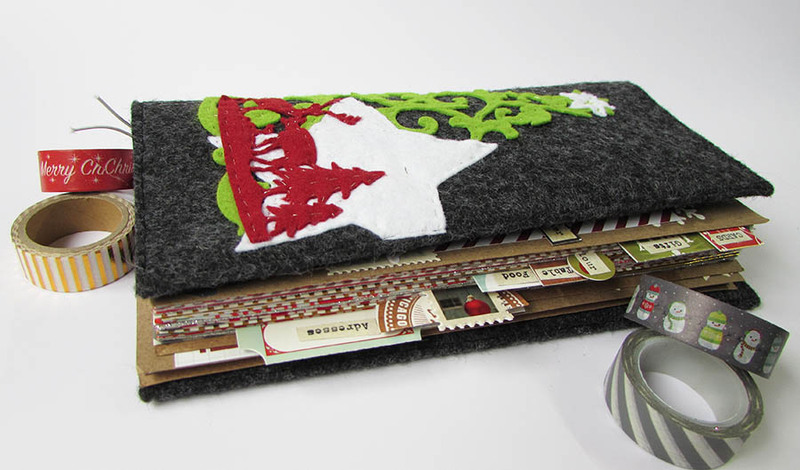 I decided to make myself a felt notebook cover in a standard size and of course I made my own inserts to go with it using a Simple Stories collection called Cozy Christmas which you can find at Paper Pen and Plan on Etsy. 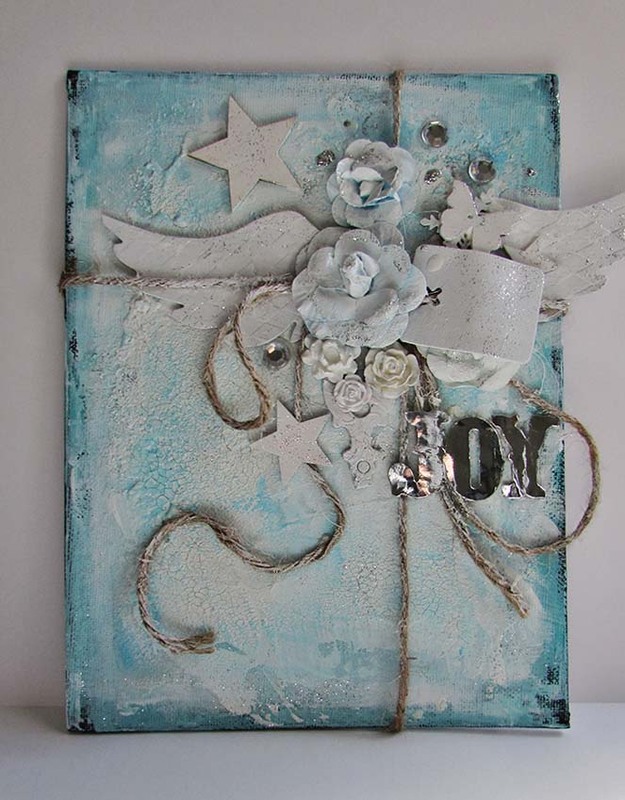 To go with my theme I made a little video tutorial which you can find below. 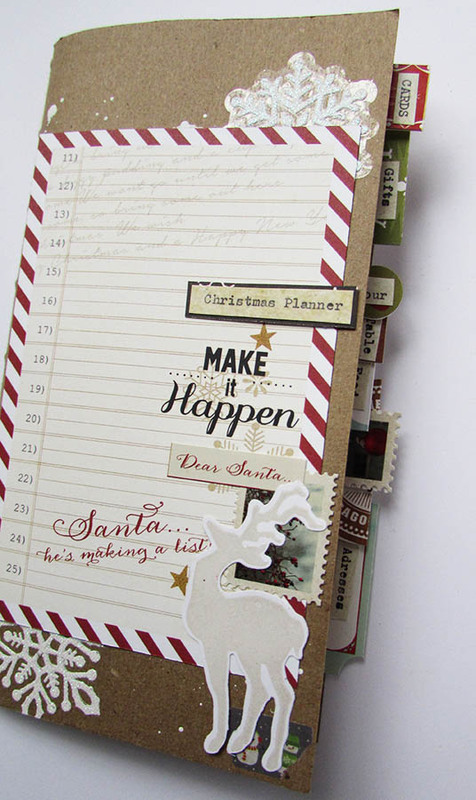 If you want to join us then head over to Facebook and join the Paperpenandplan group where we’ll be more than happy to help inspire you. 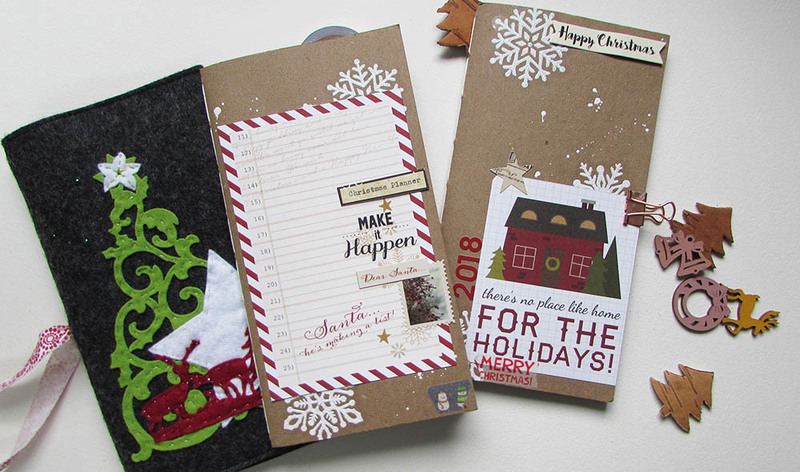 I’ll be showing inside my planner and memory book as I add to it and I’d love to hear if you make one of your own or have your own ideas for December planning.